You are here: Home / Affiliate programs / Confused With All the Online Shopping Cart Options? If you are reading this, then you have no doubt also struggled with choosing the best shopping cart for your online business. Although I don’t claim to know about every cart or software script out there, I can tell you about three different products that I have used within the last year, as well as my personal experiences with them. My search for a cart began when I decided to put together my first PLR site last winter. You will notice that I am using my affiliate links below, but as I have mentioned before, I only ever recommend stuff I know and like through personal use. So with all of this in mind, I have tried the different programs listed below, each with their own advantages and disadvantages. You will have to find what’s right for you, but hopefully this will give you some idea of what may work in your own online business. 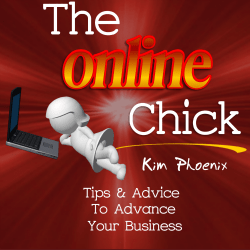 This was the first product I used for my PLR site. Sam Stephens is the man behind the product, and he provided me with very good customer support. He also answered my support questions with detailed instructions, and very quickly. It is a script that you upload to your website. Once uploaded, it’s quite user friendly. You can use it to sell single items, multiple items (that’s what I did), or even use it for membership sites. The main reason that I decided to stop using it was because it was not integrated with an affiliate program, however Sam does have this in mind for future releases. Sam actually just released DLG 5, and it includes a bunch of nice new features that will make it easier to customize the look of your cart, and includes more templates and payment processors. DL Guard also offers you the ability to use coupons, add customers to your autoresponder list, and it will protect your digital downloads. I also liked that I could keep track of how many sales a particular product had had. As I previously mentioned, it does not yet have its own integrated affiliate program, BUT it can be integrated with JXRoxJam. What’s great is that you get a 60-day money-back guarantee, so it offers you the opportunity to try it out before fully committing. I like this, because I never know how I will like something until I actually try to USE it. I never did ask for my money back, as I still continue to use DL guard on a different site. For more details on DL Guard, read more here…. Next, I tried this shopping cart plugin. It is VERY user friendly, and has a great forum where you can get help, as well as lots of documentation and videos on how to set up the plugin. Once you have the WP plugin installed, you work from within your WP dashboard when adding new products, etc. The shopping cart looks great, and integrates well with WordPress websites. Plus, it provides secure, protected download links, and integrates with a few different kinds of autoresponders (Aweber and GetResponse). I seem to recall that it also integrated with Mailchimp. You can also use it on multiple sites at no extra cost. Plus, you get FREE lifetime updates. That’s a big one! If you want an affiliate program, it can be integrated with the WP Affiliate program. Once again, it can integrate nicely with your site, and it is easy to set up by following the videos and written instructions. If you buy both the estore and affiliate program together, you will save $20 (on they’re own, they’re each $49.95 – that’s it! – for both, you get them for $79.95). They also have membership programs and more. They also offer a money-back guarantee, but I cannot recall how long it is. You can check out everything on their site here. I imagine, from my writing, that you may notice that I like this second product very much. So why did I try a different product? Mainly because at the time I owned Wp estore, customers could only purchase one product at a time, if I decided to set up an Upsell/One-time offer for a particular product after the initial sale. If you don’t plan on doing one-time offers, you don’t have to worry – customers will be able to purchase more than one product at a time. I should clarify this a bit more – I could have paid someone to make the tweaks to the code to do this, but it would have cost me quite a bit. So I decided to try….. I started using Amember V4 not long after this new version came out. From stuff I’ve read, it seems that there was quite a bit of changes made in going from V3 to V4. As a result, the online instruction manual wasn’t always the easiest to follow and was missing information, but they continue to update it. Amember is not actually a cart, but actually a script. What I like about Amember is that when a customer adds a product that he wants to purchase, I have it set up so that he gets a list of other products that I have available for purchase. The customer also forms a login/member account prior to purchase, and then always has access to secure download links for the products they have purchased from my site. Amember also adds customers to my autoresponder. Amember is also integrated with its own affiliate program. I have had trouble getting it to add new affiliates to my autoresponder program, but I’m not clear on why that has been. I’ve had to do it manually. You may hear complaints about slow or inadequate customer support if you read their forum, and I admit that I did experience this a bit at the start, but it improved when I contacted one of the main administrators. I think the biggest issue with customer support may have to do with English not being their first language, and they live on the other side of the world so they are open when people on my side of the world are sleeping. What I found helpful was to send short video screencasts showing my problem, and this sped up customer support’s ability to understand the problem and provide a helpful response in a timely manner (remember: a picture is worth 1000 words!). Plus, when I did have major problems, one of the administrators bent over backwards to help me solve the problems. It’s just a matter of asking nicely, and not getting obstinate about things, right? So if you can be patient, you will get your questions answered. I messed up things several times when setting it up, but they helped me fix my mess each time without an extra charge, so I think that’s pretty good customer service, don’t you? If you are not very technical or cannot afford to hire someone who is technical, you will probably find Amember difficult to set up and use. Despite this, it is widely used and recognized, and I continue to use it at this time, as it is a good program. I should also mention that Amember will do your first installation free, and you get free upgrades for the first six months (that you install yourself). After this, you have to purchase an additional licence to obtain more upgrades. Amember also offers you a 30-day money-back guarantee.